‘We’ll build you a million houses,’ Ramaphosa promised residents, after taking a sustained dig at Johannesburg Mayor Herman Mashaba. 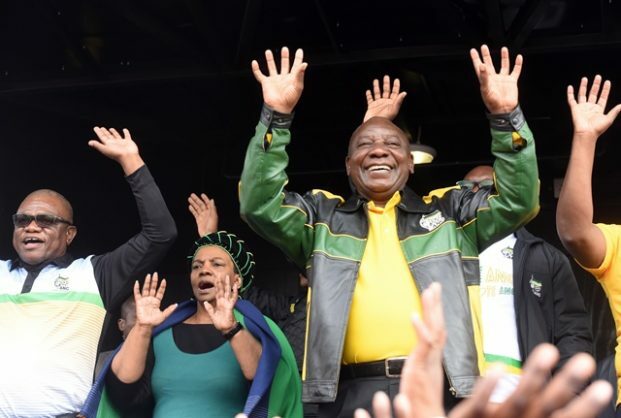 ANC president Cyril Ramaphosa has promised to build a million houses for the residents of Alexandra, following protests over illegal housing structures, waste management and crime in the area. 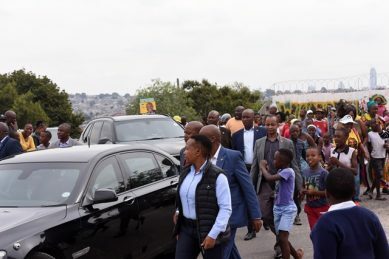 Ramaphosa visited the area yesterday and addressed thousands of residents who have been calling for Joburg Mayor Herman Mashaba to address them over their grievances. Mashaba has failed to meet the residents, saying that he would go on Monday because he was preparing the city’s Integrated Development Plan budget. Ramaphosa took a dig at Mashaba saying: “Where is Mashaba? The mayor has said he is not going to come now, and I said let me wait so that the mayor who is responsible should come first,” he said. Ramaphosa said he was not happy with daily protests in the area. “We will make sure that your councillors and mayors work for you. The stealing of money must stop,” said Ramaphosa. Ramaphosa also said that the controversial multibillion-rand Alex rejuvenation project would go ahead despite allegations that the money had been squandered by the ANC when it was still in charge of the City of Joburg. He said government had an obligation to ensure that there were no illegal occupants who unlawfully built or erected structures on land. “Here in Alexandra, we are going to sort out the land issue, so that we will be able to build houses for you,” said Ramaphosa. The protests, which began on April 3 with a total shutdown of the township, have been marred by political meddling. 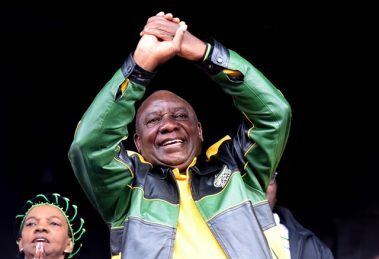 Economic Freedom Fighters (EFF) national chairperson Dali Mpofu said Ramaphosa’s visit yesterday was out of desperation to campaign for his party ahead of the elections next month. “If you had any doubts about the agenda behind the Alexandra protest … All questions should be answered by Ramaphosa’s decision to visit Alex not as president of SA, but as ANC president. “Only desperation can cause him to use the genuine grievances of the people for electioneering,” said Mpofu on Twitter. DA Gauteng premier candidate Solly Msimanga said what was happening in Alex was criminal chaos carefully coordinated by the ANC and its affiliates. He said the ANC poured its energies into stealing R1.7 billion meant for the rejuvenation project, instead of developing the community. One of the residents who attended the rally yesterday, Lindiwe Mncwango, said the president was making false promises and not actually providing solutions. “Ramaphosa is talking about removing illegal structures but the question is where are these people going to be moved to,” she asked. “I live in a house with more than 20 people and we share one toilet,” said Mncwango. Ramaphosa has tasked four ministers and provincial government to meet and work with the leaders of the #AlexTotalShutdown to find quick solutions.